Her father Kamal Haasan is a south Indian legend. He is known for his versatile artist known for his different styles and mannerisms. Kamal Haasan was born on 7th No 1954 in Paramakudi, India. He is an actor, director, screenwriter, producer, playback singer, lyricist and choreographer. He married Vani Ganapathy in 1978 and divorced in 1988. He later married Sarika Thakur in 1988 and the couple broke up in 2004. 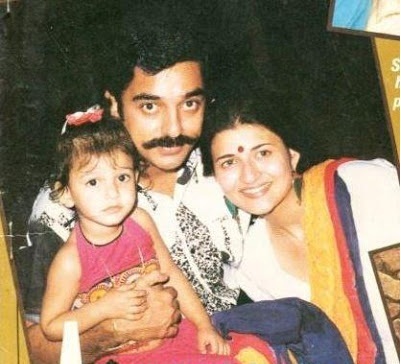 Sarika Thakur gave birth to Shruti Haasan on 28th Jan 1986. Since 2005 he is in live-in relationship with actress Gouthami. He was honoured with Padmashri in 1990 and Padma Bhushan award in 2014 by Government of India. Actress Sarika Thakur is her mother. She was born on 5th Dec 1960 in Delhi, India. Her father abandoned the family when she was very young. She started to work at the very early age. Even her mother forced her to work for money. She entered films when she was just 4 years old. 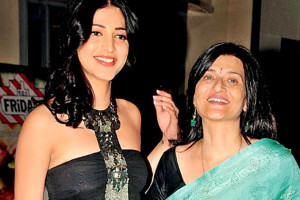 Shruti Haasan has a younger sister named Akshara Haasan born on 12th OCt 1991 in Chennai, India. Like her father Kamal Akshara Haasan is an actress, director and screenwriter. Haasan did her schooling in Chennai and Bangalore. At present she lives with her mother in Mumbai. Vani Ganapathy is her step mother. She married Kamal Haasan in 1978 and divorced in 1988. 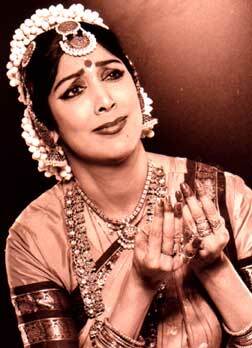 She is a professional Bharatanatyam dancer. She started her dancing career when she was just seven.